Welcome to Compliance & Governance at Hometown Health Centers! Compliance is a fancy way to say, “Hometown Health cares”! We bring our personal best using compliance for customer service, providing great health care, and wisely using resources. Here you’ll find information about our values, mission, and how we look out for you and your family. Thank you for making Hometown Health part of your life! 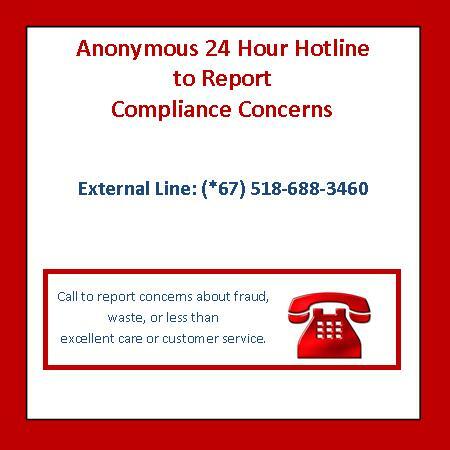 "IF YOU SEE SOMETHING... SAY SOMETHING"
Corporate Compliance Manual - Hometown Health Centers commitment to corporate compliance. Board Resolution - Compliance is supported by the Hometown Health Centers Board of Directors. 2016 Board ByLaws - Hometown Health Centers Organization ByLaws.